Businesses for sale ads in Melbourne. Thank you for visiting our free advertising website Businesses for sale, Melbourne section. We provide high response free classifieds and free advertisement. Use our online free Businesses for sale classifieds placement system to find, list, offer Businesses for sale online! Enjoy your favourite tart and baked scones with hand-cooked and delicious raspberry jam! Australian Harvest brings you fresh, flavoursome and nutrient-rich certified organic jam made from the best quality raspberry. Our jam contains no preservatives and tastes best when served with clotted cream or home-made slices of bread. Are you a party planner and looking for beautiful party novelties at wholesale prices? Call Party Maker on 04 6733 9598. We are a leading one-stop wholesale shop for party novelties and decoration material. Whether you want some cute balloons for a milestone birthday celebration or decorative curtains for a theme-based baby shower party; we have everything that you need. 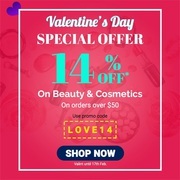 14% OFF on Cosmetics & Beauty Products when you shop for $50 or more. 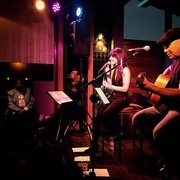 Use promocode: "LOVE14". Offer valid from 13th to 17th Feb. Free Shipping on orders over $50 in Melbourne. Shop Online: https://www.indiaathome.com.au/health-beauty/beauty-personal-care-cosmetic.html. Are you a party planner looking for wholesale party novelties for a fun party experience? Look no further, Party Maker has everything you need to make the celebration memorable. Party Makers offers an extensive range of party novelties at wholesale prices, right from balloons to confetti. Learn more: https://www. 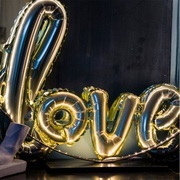 Are you a party organiser looking for wholesale party decoration supplies? 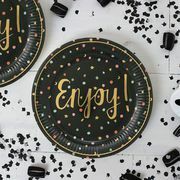 Partymaker has a vast range of themed party products, banners, disposable party products, tableware, plastic drinkware, plastic plates and balloons. We are a trusted wholesale supplier of party products, costumes and accessories. Realise your dream of running a successful enterprise on your own by working with Australia's one of the fastest growing Indian grocery chain. India At Home brings you an exciting set of franchise business opportunities you can grab now and enjoy the fruits of our hard work of years. India At Home takes pride in being recognized as one of the pioneering Indian grocery retail chains in Australia and would like to share the success of years of hard work with you. Organic turmeric is known for its extraordinary anti-inflammatory properties. Widely used in Indian cuisine, this spice is now available in Australia. 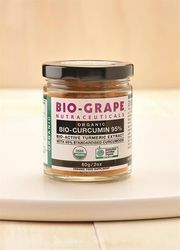 Bio-Grape Certified Organic Bio-Curcumin contains 95% Bio-Active Turmeric Extract and is available at Australian Harvest. Buy organic turmeric now: https://www. Buyingland.com.au is the leading provider of a comprehensive guide to existing and upcoming land estates throughout Victoria. Used daily by purchasers of land, it is an excellent tool to search for and shortlist a number of estates to purchase your dream block of land through..
Curcumin 95 is the yellow pigment in turmeric known for its anti-inflammatory properties. It is also widely used to boost the brain-derived neurotrophic factor which is strongly linked to improved brain function and a lower risk of brain diseases. 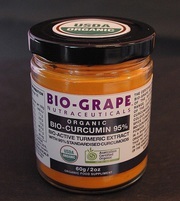 Bio-Grape certified Curcumin 95 by Australian Harvest is the best to avail the health benefits curcumin. 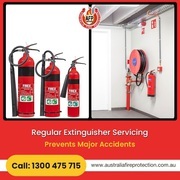 Tanjant Tools is a world-leading manufacturer of Guides for Gas Torch and Plasma Torch cutting Phone number	+61 3 9872 6222 E_mail	sales@tanjant.com Address: 21 Queen St Nunawading VIC 3131 Australia website	https://www.tanjant.com/. Do you know the scrap metal lying in your yard can help you earn some good money? JJ Scrap Metal is a leading scrap metal recycling service in Melbourne. We collect, transport the scrap from your property to our yard and recycle it in the most eco-friendly way. We buy scrap metal from industries like construction, warehouses, plumbers, builders and electricians at highly competitive prices. Sweet Chilli Sauce is one of the important sauces used in the Middle Eastern cuisine. 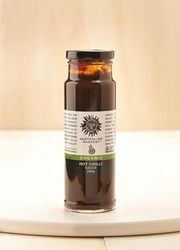 Australian Harvest brings our 100% organic and delectable sweet chilli sauce. Serve this delicious sauce with meats, Middle Eastern dishes falafels or vegetable burgers. You can also use it as a dipping sauce for a variety of seafood, like calamari. A festivity without some sweets and desserts isn't a festivity at all! Be it Diwali or Christmas or any other celebration, the spirit of celebration doubles up when you get a sweet dish from your any of your favourite Indian Sweet shops! So why not give your taste buds a true taste of Indian sweets from India At Home. The scorching summer is back again and it's time to protect your skin from the dazzling sunlight that may put the glow and health of your skin at risk. Keep yourself and your skin protected with the skin-friendly cosmetic products from India At Home. We stock cosmetic products from major cosmetic brands including Levon, Nevia, Dabur and many other. Enjoy the intense and sharp flavour of organic raspberry jam. 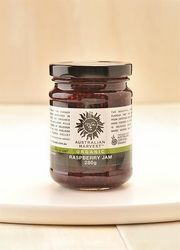 Australian Harvest brings you organic, healthy and delicious jam that you can enjoy with your favourite baked scone. Our jam has organic and fresh raspberries hand cooked in small batched. It can delicious served with freshly baked scones and clotted cream. Are you looking for stainless steel scrap dealers to recycle massive amount of stainless scrap metal lying on your property? JJ Scrap Metal is a leading scrap metal dealer in Melbourne. 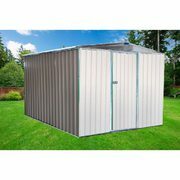 We buy stainless stain scrap metal at highly competitive rates from various industries like builders, plumbers, construction sites, car wreckers and so on. Adding small amounts of organic vinegar in your salad has numerous health benefits. It makes your skin healthy and helps you maintain a youthful look. Moreover, it also enables you to lose weight. Our organic horseradish vinegar is high in nutrients. Buy organic vinegar now: https://www.australianharvest. We all agree Maggi is the everyone's favourite savoury fast-food to beat the hunger in two minutes! Everyone loves to slurp the Maggi noodles hot 'n' fresh and that's why India At Home is glad to bring you all the original, premium Maggi noodles right at your doorstep. Buy Maggi Noodles from our online grocery store and we will deliver to your doorstep anywhere in India. Australia free ads for Businesses for sale, Melbourne, Businesses for sale free ads Melbourne, Businesses for sale for sale Melbourne, Businesses for sale to buy in Melbourne. Find on this page free classifieds for Businesses for sale in Melbourne. This listing includes classifieds for sale and to buy in Melbourne. FREEADSAustralia Melbourne offers you a platform to post free advertisements or classifieds for Businesses for sale in Melbourne. FREEADSAustralia helps you search, find buy, sell, rent or hire in various categories like apartments, goods for sale, local services, cars , jobs and many more in Melbourne. If you posted an advertisement in category Businesses for sale of FREEADSAustralia Melbourne before please use Edit my ads button to change or cancel your ad. Businesses for sale Melbourne ads Melbourne, Businesses for sale classifieds Melbourne, Businesses for sale free ads Melbourne, ads for sale Melbourne, ads to buy Melbourne, FREEADSAustralia. Find here ads for sale, to buy and rent in Melbourne. Goods for sale in Melbourne, vehicles for sale in Melbourne, Melbourne real estate for sale, Melbourne property for sale, property for rent in Melbourne, business ads in Melbourne, Melbourne business classifieds, services in Melbourne, Melbourne services ads, jobs in Melbourne, pets for sale in Melbourne, Melbourne dating, Melbourne cars for sale.